Cystic fibrosis (CF, MIM # 219700), an autosomal genetic disorder of chloride (Cl-) conductance across epithelial cells which is resulted due to mutations in the cystic fibrosis transmembrane conductance regulator gene (CFTR or ABCG2 MIM # 602421) associated with various clinical phenotypes viz respiratory distress, chronic pancreatitis and male infertility due to congenital bilateral absence of the vas deferens (CBAVD, MIM # 22180) [1-3]. CF is a mono-genic disease with an average prevalence of 1 in 2500 live birth with carrier frequency 1 in 25 individual . Now it is well recognized among non-caucassians in the united states with a prevalence of 1in 9,200 in Hispanics, 1 in 10, 900 in native Americans, 1 in 15,000 in African Americans and 1 in 30,000 in Asians . Pronounced improvement in predicted survival for CF patients over two decades is due to immense progress in understanding of the biochemistry and molecular biology of the cystic fibrosis transmembrane conductance regulators (CFTR) gene responsible for CF. (Cystic fibrosis foundation 2014 registry). Because of this fact, over the past decade, better understanding of the molecular basis of CF and various manifestations which led to the development of molecular therapies that could be to have the immense impact on the CF treatment in accordance to the type of mutation. This review will oscillate around the use of two important therapeutic approaches, termed potentiators and correctors” which governed in modulation and repairing the functions of the CFTR protein resulted from some classes of CFTR mutations. Henceforth, this structural guided therapeutic would be an effective approach for CF treatment. Therefore, it is utmost important to apprehend the structural and functional aspects of human CFTR transporters in reference to alterations in CFTR protein due to presence of mutation in CFTR gene. Causation of cystic fibrosis is due to production of mutations in cystic fibrosis conductance regulatory gene, which was identified and cloned about three decades ago [6-8]. The CFTR gene spans across an approximately 240 kb region on chromosome 7 q 31 3 and consists of 27 exons . The gene is transcribed into a mature messenger RNA of 6.5 kb. The encoded protein contains 1480 amino acid and has a calculated molecular mass of 168 KD (Figure 1). CFTR protein forms an integral membrane glycoprotein. A comparison of the nucleotide sequences across available databases place this protein as a member of the ABC transporter super family. The linear amino acid structure of CFTR sequence is subjected to hydropathy plot analysis which disclosed that CFTR protein composed of two motifs, each containing a membrane spanning domain (MSD) that constituted of six transmembrane helices and nucleotide binding domain (NBD) that contain sequence predicted to interact with ATP [10,11] MSD-NBD motifs are linked by a unique domain termed as regulatory domain which contains multiple phosphorylation sites and many charged amino acids catalysed by protein kinase A and C. The carboxyl terminal, consisting of threonine, arginine and leucine (TRL) is anchored through a PDZ type- binding interaction with the cytoskeleton , the NBDs, R domain and the N and C- termini are intracellular, while MSD spans the membrane of epithetical cells (Figure 2). CFTR transporter functions as a cAMP regulated chloride channel in exocrine epithelia . Figure 1: Molecular Biology and Biochemistry of Cystic Fibrosis. (A) Chromosomal localization of the CF gene spanning 250Kb of genomic DNA and comprising 27 Exons. The 6.6 Kb transcript messenger mRNA after processing. (B) Hypothesized structure of CFTR protein. Figure 2: A simplified model for CFTR gating. This diagram displays dominant gating transitions involves complete disengagement of the two NBDs which are separated with one ATP bind to NBD1. CFTR mRNA is translated on the endoplasmic reticulum (ER) as a linear chain of amino acids, which undergo secondary and tertiary structure with the help of chaperon proteins. The folded tertiary structure undertakes its correct orientation in and outside of the membrane according to the physico- chemico properties of the different regions of the CFTR protein. After protein synthesis and folding progression, subsequently the CFTR protein is co-translationally modified by N-glycosylation. Once the mature form is fully processed in the Golgi apparatus then is packaging into the vesicles for translocation to the plasma membrane surface. Transport activity across plasma membrane depends on the number of CFTR proteins and turnover at cell surface beside degree of phosphorylation and ATP hydrolysis . Misfolded CFTR protein due to any cause underwent to the proteasome for ubiquitination mechanism for degradation . The mutated proteins are less stable than WT-CFTR. CFTR protein functions primarily as a chloride channel, additionally, it also acts as outwardly rectifying chloride channel (ORCC) and epithelial sodium channel (ENAC) and renal outer medullary potassium channel (ROMK) . The two halves of CFTR protein viz TMD1-NBD1 and TMD2-NBD2 are linked by the unique cytosolic regulatory (R) domain. R domain Phosphorylation by protein Kinase A (PKA) is important for chloride channel activity [16-18]. NBD contains two highly conserved sequences that bind and hydrolyze intracellular ATP and energy released which is utilized for channel gating. Infact, ATP binding initiates association of two NBDs into a stable conformation “head to tail’ dimer obstructs two molecules of ATP at the interface . Conserved residue of both the walker motifs viz walker A (G-X-X-G-X-G-X) and walker B (h-h-h-h-D) where h indicates a hydrophobic residue in the head of one NBD and signature sequence in the tail of other residue involve in ATP binding and hydrolysis at one NBD1 which are responsible for channel opening and closing. ATP molecules act as molecular glue that held the NBDs together in the dimer form. Henceforth, ATP hydrolysis is required for disruption of the dimer conformation in CFTR (19). The transmembrane domains form the channel pore, and single channel conductance is low at 6 to 10 picosiemens. Possible molecular mechanism predict that NBD dimer conformation flips the TMDs to an outward facing orientation whereas disruption of the dimer conformation following ATP hydrolysis led to the substrate release, subsequently brings them to previous orientation. Four short coupling helices in the TMD intracellular loops act as an interface involved in orientation of signal transmission from NBD to TMD [20-21] (Figure 2). With the fact, NBD dimer formation triggers a pore opening while dimer dissociation terminates the burst and returns the TMDs into non-conducting state . The most common mutation in CFTR delta F508 has two consequences. First, the channel has a low open time for chloride about 10% of the normal which led to a more than 40 fold reduction in opening rate, which is associated with destabilization in response to alteration in CFTR conformation form native from. Second, newly translated CFTR is unstable in ER, leading to premature proteolysis reduced half-life . More than 2000 sequence variants have been established in the CFTR gene (http//www.genet.sickids.on.cafchrome.hml) and many of them have associated with various CFTR related manifestations such as respiratory distress, pancreatic inefficiency, meconium ileus and congenital absence of vas deferens . Worldwide prevalence of 24 mutations recognized in more than 50 chromosomes. ?F508 contributes two thirds (66%) of all CF chromosomes; however there is great mutational heterogeneity in the remaining one-third of all alleles subjected to populations and geographical locations. A group of CFTR alleles also exists in non- Caucasian populations. Few mutations have been found with an unusually high frequency in specific population, indicating founder effective genetic drift. However, there is a broad spectrum of all types of mutations represented by a large number of rare alleles and are distributed throughout the entire gene. Notably, CF is probably a more common in people of Indian origin than previously thought. Recently our group identified and characterized CFTR mutations in CF subjects presented at PGIMER Chandigarh India [23-26]. The mutation ?F508 is the most common. However, it represents only 27% of all analyzed CF alleles. The other mutations viz. S549N, C. 1161 del C, R 709X, R792 X, and 3849+10kbC>T are other common mutations found among CF subjects. Equal numbers of novel mutations compared to already known mutations reflects heterogonous spectrum of CFTR mutations in India. It is not worthy here that growing awareness of CFTR mutations that do not always causes CF, and individuals with mild or single organs system manifestations of CFTR related disease have made this Mendelian relationship more complex . About 2,000 mutations identified in CF population worldwide which are classified into six classes according to protein expression, structure, trafficking and CFTR functions [1,28,29] (Figure 3). Figure 3: Classification of CF Mutations. Class-1 Mutations causes alterations in transcriptional and translational products of CFTR gene in majority. These mutations explicit their effect within the nucleus and usually involve the processing of transcript in most cases, the introduction of a premature termination codon, whether by a change of a codon to a non-sense mutation or by a frameshift, results in the degradation of the transcript by a nonsense medicated mRNA decay mechanism . Major examples of this type of mutation includes G542X, T1282X, R553X, 621+1G –T etc. Class II mutations caused misfolding or improper processing of CFTR protein which undergo degradation before translocated to the apical membrane i.e. Phe 508 del, Asn 1303 Lys, Ile 507 del, Arg 560 Thr . The most prevalent mutation is the Phe 508 del (C15211523 del CTT) due to a 3 base pair deletion, which led to exclusion at position 508. Notably, this mutation is responsible for 70% of all CFTR alleles. ?F508 mutation was found with 86% in Northern European Caucasians . Phe 508 del contributed misfolding of CFTR protein which undergo endoplasmic reticulum associated degradation (ERAD) and minimal protein expression at the plasma membrane . Class III Disease – associated mutations in this class causes defective channel in chloride conductance due to aberrant ATP binding and hydrolysis. However, CFTR protein translocated to the cell membrane, but not activated [34,35]. Class III mutations includes Gly 551 Asp, Gly 178 Arg, Gly 551 Ser, Ser 549 Asn etc. Class IV mutations led to defective chloride conductance as well its channel pore. Notwithstanding, some mutations of the class IV mutations may reduce ion movement across membrane. However, some CFTR functions are protected, which in turn leads to mild form of CF [36,37]. Prevalent mutations of this class includes Arg 117 His, Arg 347 Pro, Arg 117 Cys, Arg 334 Trp etc. Class V Mutations: produced lesser amount of functional protein, thereby, class V mutations are fraternized diminished number of CFTR mRNA due to a promoter or splicing abnormality which includes 3840+10 KbC>T, 2789 + 5 G→ A, 3120+ IG→ A, 5T etc. which leads to aberrant splicing resulted in incomplete, and a small amount of spliced CFTR transcripts is produced, responsible for reduced amount of CFTR protein [32,38]. Class VI mutations caused alterations in CFTR protein which are responsible for reduction in half-life/turnover of the abnormal CFTR protein. This class of mutations includes 4326 del TC, Gln 1422 X, 4279 InsA etc. Any variation in CFTR gene had predicted deleterious effect on gene functions. Eighty two percent of the reported mutations in the CF mutations database have putative deleterious effects, whereas 14% appear to be sequence variants of no functional consequences, and the remaining 41% are of known effect (http://www.genet.sickkids.on.ca/cftr/home html). However, symptomatic therapies have increased the life expectancy of CF patients. Recently, considerable efforts have been made to identify molecules which could able to improve biosynthesis process as well as trafficking pathway of mutant CFTR protein which are termed as “Correctors” or the activity of plasma membrane residual mutant CFTR activity . Potentiators are those pharmacologic molecules, enhance PKA regulated chloride channel gating of CFTR, which can be assessed by cell based high- throughput screening assay using fluorescence-based assay of membrane potential  and halide efflux assay . On the other hand, correctors are pharmacologic agents those act as chaperons, which are able to “rescue” misfold CFTR and allow trafficking to the cell surface. CFTR modulators including potentiators, and correctors (Lumacaftor): Vx-809, VRT-325, VRT-640, Genzyme /9Compd48) VX-661, KMI1057, Dynosore, $C and 15Jf etc. Potentiators (Ivacaftor: VX-770, VRT-532, PGOI, SF-03, CCF-853 and Genistein (Slone-2010). Deletion of phenylalanine 508 (F508 del) is the most common mutation which is prevalent with one allele in 90% of CF patients, which is associated with misfolding of CFTR protein at ER and impairment of CFTR function at plasma membrane with reference to its stability and chloride channel conductance [42,43]. The open probability of F 508 del - CFTR is 15 times lower than that of wild type (WT) channels. CFTR domain topology and orientation is must to maintain proper channel structure and functions . Molecular modulators viz correctors stabilizes the NBD1-MSD2 interface. Some correctors stabilize ?F508-NBD while VX809 corrector can rescue from destroying NBD1-MSD2 interface as a result ?F508 CFTR expression is augmented at plasma membrane. Thus, structural oriented correctors constitute an efficient strategy for CF treatment . Recent findings are suggestive of combination therapy suing VX-770 and VX-809 which restore the open channel of F 508 del- CFTR channels. However, both CFTR Potentiators VX-770 and the correctors VX 809 are not able to restore all functional defects caused due to F508 del mutation . Of course, this mutation insensitive to cAMP stimulation and less stable in the cell membrane . Therefore, other molecules viz amplifiers and inhibitor along with potentiators and corrector are needed to restore maximal functional activity of CFTR protein. The most distinguished Class III mutation, (G 551 D), is due to replacement of glycine with aspartic acid at amino acid 551, which was observed in 4.5% CF patients (Cystic Fibrosis foundation patent Registry 2013). This substitution is present at a paramount location in the NBD1, the interface with NBD2  However, G551D- CFTR mutant translocated to the plasma membrane, however, this mutant is unable to ATP dependent Channel opening activity associated with lessen or no ion transport. Ivacaftor (VX770), an investigational drug saved from defective channel gating in the CF-causing mutant G551D-CFTR, CFTR gating mutant with reduced channel open probability after maximal cAMP stimulation. However, VX-770- treated G5511) Channels Po still less than 10% of that of WT channels . Class III potentiator viz 5- nitro-2- (3- phenylpropylamino benzoate) which appears to promote gate opening with unsettled mechanism [49,50]. Class III mutations are associated with severe form of phenotypes of CF viz pancreatic insufficiency and more rapid lung progression. Premature termination Codon (PTCs) or nonsense mutations are noticed in CFTR gene with the prevalence of 7% in CF patients . This class of mutation includes frame shift, non-sense and splicing mutations, which are predictive to be deleterious. PTCs produced a truncated protein which mostly lacking normal function of CFTR and reduced transcript undergo nonsense- mediated mRNA decay (NMD) . 60% nucleotides are deleted in NBD2 in W1282X mutation of CFTR gene, which is reported with a prevalence of 50% in Ashkenazi Jewish subject with CF. W1282 X mutation generated a truncated protein (CFTR 1281), which is fraternized with aberrant cellular processing and channel gating, these defects are corrected by combitorial use of correctors and potentiators [54, 55]. It is noteworthy here that several PTC mutation, including W1274X, Q 1281 Q, 01291X, Y 1307 X, Q131X, Q 1412X and S1455 X and frame shift mutations such as c. 3855 del C. 3884-3885 inst, C 3890-3891 ins T, C. 3884-3885 inst, C 3890, 3891 ins T, C. 3908 Dup A, C.4139 del C and C. 4147 - 4148 Ins A, led to deletion of various lengths of the carboxyl terminus of CFTR within NBD2, Which may be subjected to corrector/potentiator strategy to rescue the deleterious effects caused by these mutations. Class IV mutations viz D 11 52 H, R374 D R 117 H etc. which led to the modifications in CFTR activity. In some cases, these mutations are intimate to the ion conduction pore of the CFTR channel, whereas others appear to affect conductivity through allosteric mechanisms (56).Class V mutations decreases the level of wild type CFTR which is produced by splicing mutations. A key example is the 3849+ 10 kb (c. 3717 + 12191C-T) mutation  this mutation activates a cryptic splice site in intron 19 of CFTR that causes mis-splicing of exon on 19. However, the canonical splice site is able to complete with the cryptic site resulting in the production of 5%-10% of wild type transcript which is sufficient to get out from the pulmonary complications of CF . In these mutations potentiators such as ivacaftor assist in opening of the CFTR channel and also increase the function of normal CFTR. At Indian perspective, there are very rare mutations so called orphan mutation. Notwithstanding, theses rare mutations cannot provide sufficient information with regard to CF phenotype induced by these mutations . It is noteworthy that cellular and functional information’s on these mutations can improve CF genetic counseling. Functional and cellular consequences of eleven rare missense mutations viz L69H, F87L S 118P, G 126S, H139 Q, F 157C, F 494 L, E 543 A, S 549 N, Y852 F and D1270 E identified in both classical CF and CBAVD Indian patients. First striking finding was with fact that L69H belongs as a novel class II CF mutation. The trafficking to the plasma membrane of L69H-CFTR was abnormal as corroborated by western blot analyses which showed the presence of a b-band and abundance of L69H mutated CFTR protein in the ER on confocal microcopy imaging . Henceforth, the processing pathway of this variant is similar to that of F 508 del CFTR mutation. This study also clearly showed that the L69H mutant was responsive to VX 809 and restoration of CFTR channel activity. Interestingly, 3D structure of CFTR (Figure 4), L69H is located in a short cytosolic l- helix in the N-terminus of CFTR preceding the first transmembrane helix TM1 of MSDI which is also called below helix and is conserved feature among the ABC exporter family L69H makes hydrophobic face of this helix and is in close contact with hydrophobic side chains of cytosolic extension of MSD1 TM helices, located just below the membranes plane, (F191), just before TM3 and especially 1368 just after TM61. The network formed by these hydrophobic amino acids) in the cytosolic N- terminus extension (L69), in the intracellular loop ICLI (F191) and in the MSDI- NB1), Linker (1368) might thus play an important role for MSDI folding and stabilization of this domain, thereby, L69H may perturb these mechanisms, which support the hypothesis with the fact that VX 809 has been shown to act on MSD folding and that it also rescued functional defects in CFTR caused by disease related mutations in the vicinity of three amino acids highlighted (P6 7L, C206 W) . Another important finding concerns the S549, located in the LSGGFQ signature motif of NBD1 disrupts the hydrolysis of ATP which was evidenced from reduction in its channel activity, therefore this mutation classified as class IV. This channel activity was potentiated after incubation of cells at 27ºC or VX 809 . Figure 4: Functional rescue of L69H, F508del and S549N by low temperature and VX 809. Understanding molecular defects in CFTR protein due to present of wide spectrum, of mutations in CF gene which encompassed non-functional protein synthesis, trafficking defect because of misprocessing of CFTR protein, defective channel regulation, lessened channel conductance, reduced synthesis and CFTR stability (Figure 3). Cellular protein homeostasis or proteostasis which incriminated in superintending the conformation, concentration binding interactions and location of individual protein by way of conserved pathway making up the proteostasis network. Corrector molecules functions as pharmacological chaperons by interacting with mutated F508- CFTR recognition and processing . It is worthy to mention here that pharmacological chaperons have the potential for greater target selectivity. The implications of these molecules in other protein folding disease . Proteostasis regulators could produce more pronounced effect with greater efficacy, particularly in combination with agents that directly promotes CFTR folding. Cellular quality control recognizes mutated F508 protein as misfolded and directs it to proteosomal degradation. Mobility of a mutated protein to fold efficiently within the secretory pathway leading to extensive endoplasmic reticulum (ER) associated degradation (ERAD) . The correctors viz. VX-809 or C18 directly interacts with the mutated at single molecular level by increasing the ER folding efficiency and PM stability to overcome a kinetic folding trap and stabilization of NBD1-MSD1/2 interface defect [62,63] which are evident from thermodynamically and kinetically NBD1 stabilization leading to effectively counteracting mutated F508- CFTR misprocessing [64-66]. Potentiators are the second category of modulators which were deliberated to restore cAMP-dependent chloride channel activity to mutant CFTR s at the plasma membrane. It is well considered that opening and closing of the CFTR ion pore, organized by its TMDs, is coupled to a conserved ATP binding/hydrolysis of cycle at the NBDs (Figure 5) . Figure 5: Schematic diagram of molecular action of modulation in mutant CFTR correction. Three major events viz. ATP binding, formation of dimeric NBDs, and opening of thye gate in TMDs which are targeted by potentiators to imitigate the underlying molecular defects due to mutations in CFTR gene. VX-770 is proposed to augment CFTR functions by modulating the gating transition between the open and closed conformations in the TMDs, another potentiation functions by promoting NBD dimerization . Moreover, asynergistic dependent interaction between NPPB and VX-770 was noticed, which supports the energetic coupling between NBD dimerization and gate opening . Recently, four state kinetic model was proposed for an energetic coupling between CFTR gating and potentiators . The major goal of use of modulators viz. correctors and potentiators as a therapeutic targeting underlying, molecular defects due to presence of type of mutation in CF patients. These defects include CFTR protein misfolding, CFTR membrane surface stability and chloride channel activity. In past two decades, striking developments have been made in this direction. The development of a CFTR targeted molecules are of great significance in the treatment and managements of CF disease. Therefore, the developments in the clinical trials in the use for correction and potentiation of affected CFTR function are in progress [69,70]. A phase 2 clinical trial of ivacaftor was assessed its safety profile over 14-28 days of treatment . Thirty-nine adults’ subjects with CF having at least one Gly551 Asp- CFTR allele participated in randomized placebo- controlled, double- blind, multicenter and multidose study. In this study a significant improvement was noticed in reference to respiratory, nasal potential difference and a gold standard diagnostic marker (Sweat chloride concentration) which was also corroborated with a significant alteration in FEVI (Forced expiratory volume/sec) at a dose of 150 mg ivacaftor/day. These exciting results in phase II trial study, further attempts were made for phase III trial of ivacaftor, [72,73]. There was a significant improvement in respiratory parameters; BMI and a significant reduction in sweat chloride in the course of study. Moreover, the CF patients both adults and adolescents who switched from placebo to modulators treatment which exhibited in a respiratory improvement parameter, BMI and sweat chloride levels . Phase 4 clinical trials was conducted in which the patients having one Gly 551 Asp mutation participated for the treatment of ivacaftor approved by US-FDA . A considerable improvement in clinical status in reference to their respiratory status, BMI and sweat chloride levels were observed after ivacaftor treatment. Notably, a striking effect was noticed on gastrointestinal PH associated with duodenal fluid alkalization due to involvement of CFTR in bicarbonate transport, indicating the normalization of gastrointestinal proton concentration by CFTR potentiation. These findings are suggestive of improvements in pancreatic functions as well as digestion and absorption of nutrients . F508 del has its deleterious effects on CFTR protein at different levels which include misfolding and loss of activity of chloride channels, thereby to restore the activity of CFTR protein is most difficult task [77,78]. 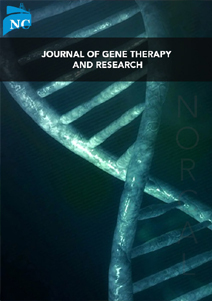 In view of in vitro evidence, a combination of corrector and potentiators possibly more potent, thereby, in FΔ 508 del homozygous mutants, the higher dose of ivacaftor in combination with lumacaftor in CF patients with either homozygous or heterozygous FΔ 508 del demonstrated significant improvement in sweat chloride level as well as in FEV, In phase II and subsequently in phase III trial . Based on the inspiring lung function results, a combination therapy of both corrector and potentiators was executed in two large multicenter for 24 weak Phase II randomized control trials termed TRAFFIC and TRANSPORT . The rigorous analysis revealed a reduction of CF pulmonary exacerbation, increased BMI and modest improvements in a validated symptoms score (CFQ-R). Recent developments in CF therapeutics with triple combination of modulators are promising strategies to correct the underlying molecular defects in CFTR protein . It is noteworthy here that pharmacological modulator VX-809 correct the mislocalization of delta F508- CFTR due to misfolding and retention by the ER quality control mechanisms and subsequently undergo degradation by the 26S proteasome . VX-809 and its analogue VX-661 correctors, which have been approved by the U.S. food and drug administration [83, 84]. These molecules support only modest clinical improvement in lung function in CF patients. Recent reports indicate that triple combination of pharmacological chaperons for F508del- CFTR performed additively or synergistically however each molecule acts at distinct site. These correctors viz. RDR1, VX-809 and MCG1516A function synergistically by involving NBD1 having F508 del mutation. These results have showed the proof of concept that targeting the restoration of CFTR activity using these correctors and potentiators are safe and feasible. Remarkable developments over the past decade in small molecules viz correctors and potentiators therapy for CF is most potent and efficient advances in this field. Applications of these molecules target underlying molecular defects in CFTR mutant proteins. Notwithstanding limited efficacy of first generation corrector molecules as well as inadequate understanding of their molecular actions, warrants the further study for basic and clinical research. Furthermore, high throughput screening is needed to identify the more efficient and safe molecules for the treatment of CF patents. It is noteworthy here that the thermodynamics of folding of CFTR protein in relation to its physicochemical interaction as well as molecular interactions responsible for channel gating process is utmost important to develop the third generation correctors and potentiators molecules, F?F508 is most common mutation with 70% frequency which led to the folding and gating defects. New generation molecules would be used to correct the underlying molecular defect in F ?F508 to maximal level in both in cell study as well as in vivo clinical trial. Rosenstein BJ, Cutting GR (1998) The diagnosis of cystic fibrosis: a consensus statement Cyotic Fibrosis foundation Consensus Panel. J Pediatr 132: 589-595. Welsh MJ, Ramsey BW, Accurso, F, Cutting GR 2001, Cystic Fibrosis in Scriver GR, Beaudet AL, Sly WS, Valle D (eds). The metabolic and molecular bases of in hirted Disease. New York MC GrawHill Pp. 5121-5188. Castellani C, Cuppens H, Macek J Jr, Cassiman JJ, Kerem, E, et al. (2008) Concensus on the use and interpretation of cystic fibrosis mutation analysis in clinical practice. J Cyst Fibrosis 7: 179-196. Castellani C, PiccI L, Tamanini, A Giradi, P, Rizzotte P, et al. (2009) Association between carrier sreening and incidence of cystic fibrosis. JAMA 302: 2573-2579. Hamosh A, Fitz Simmons SC, Macek M, Knowles MR, Rosenstein BJ, et al. (1989) Comparision of the clinical manifestations of cystic fibrosis in black and white patients J Pediatr 132: 255-259. Riordan JR, Rommens JM, Kerem B, Alon N, Rozmahel R, et al (1989) Identification of the cystic fibrosis gene: cloning and characterization of complementary DNA. Science 245: 1066-1073. Rommens JM, Iannuzzi MC, Kerem B, Drumm ML, Melmer G, et al. (1989) Identification of the cystic fibrosis gene: chromosome walking and jumping. Science 245: 1059-1065. Kerem B, Rommens JM, Buchanan JA, Markiewicz D, Cox TK, et al. (1989) Identification of cystic fibrosis gene: genetic analysis. Science 245: 1073-1080. Zielenski J, Rozmahel R, Bozon D, Kerem B, Grzelczak Z (1991) Genomic DNA sequence of the cystic fibrosis transmembrane conductance regulator (CFTR) gene. Genomics 10: 214-228. Bear CE, Li CH, KKartner N, Bridges, RJ Jenson TJ, et al. (1992) Purification and functional reconstitution of the cystic fibrosis trans membrane conductance regulator (CFTR). Cell 68: 8096-818. Hyde SC, Emsley P, Hartshorn M J, Mimmack MM, Gileadi U, et al. (1990) Structural model of ATP- binding protein associated with cystic fibrosis, multidrug resistance and bacterial transport. Nature 346: 362-365. Short DB, Trotter KW, Reczek D Silvia M Kreda, Anthony Bretscher, et al (1998). An apical PDZ protein anchors the cystic fibrosis transmembrane conductance regulator to the cytoskeleton. J Biol Chem 273: 19797-19801. Riordan JR (2005) Assembly of functional CFTR chloride channels. Annu Rev Physiol 67: 701-718. Handerson MJ, Singh OV, Zeitlin PL (2010) Applications of proteomic technologies for understanding of proteomic technologies for understanding the premature proteolysis of CFTR. Expert Rev Proteomics 7: 473-485. Pilewski JM, Frizzell RA (1999) Role of CFTR in airways disease. Physical Rev 79: S215-S255. Berger AL, Ikuma M, Welsh MJ (2005) Normal gating of CFTR requires ATP binding to both nucleotide binding domains and hydrolysis at the second nucleotide- binding domain. Proc Natl Acad Sci USA 102: 455-460. Vergani P, Lockless SW, Nairn AC, Gadsby DC (2005) CFTR channel opening by ATP-driven tight dimerization of its nucleotide binding domains. Nature 433: 876-880. Aleksandrov L, Mengos A, Chang X, Aleksandrov A, Riordan JR (2001) Differential interactions of nucleotides at the two nucleotide binding domains of the cystic fibrosis transmembrane conductance regulator. J Biol Chem 276: 12918-12923. Smith PC, Karpowich N, Millen L, Moody JE, Rosen J, et al. (2002) ATP binding to the motor domain from an ABC transporter drives formation of a nucleotide sandwich dimer. Mol Cell 10:139-49. Hwang TC, Yeh JT, Zhang J, Yu YC, Yeh HI, et al. (2018) Structural mechanisms of CFTR function and dysfunction. J Gen Physiol 150: 539-570. Cutting GR, Zeitlin PL (2012) Kendig and Chernick’s Disorders of the Respiratory Tract in Children.Wilmott RW, Bush A, Boat TR et al. (Ed 8) Elsevier Saunders, 753. Sharma N, Acharya N, Singh SK, Singh M, Sharma H (2009) Heterogenousspectrum of CFTER gene mutations in Indian patients with congenital absence of vas deferens. Hum Reprod. 24: 1229-1236. Sharma N, Singh SK, Kaur G, Thapa BR, Prasad R (2009) Identification and characterization of CFTR gene mutations in Indian CF patients. Annu Hum Genet 73: 26-33. Prasad R. Sharma H, Kaur G (2010) Molecular basis of cystic fibrosis disease: An indian Perspective. Indian J Clin Biochem 25: 335-341. Sosnay PR, Raraigh KS, Gibson RL (2016) Molecular genetics of cystie fibrosis transmembrane conductance regulator: genotype & phenotype Pediatr Clin North Am 63: 585-598. MacDonald KD, McKenzie KR, Zeitlin PI (2007) Cystic fibrosis transmembrane regulators protein mutations class opportunity for novel drug innovation. Paediatr Drugs 9: 1-10. Frischmeyer PA, Dietz HC (1999) Nonsense-mediated mRNA decay in health and disease. Hum Mol Genet 8: 1893-900. Egan ME (2016) Genetics of Cystic Fibrosis: Clinical Implications. Clin Chest Med 37: 9-16. Sosnay PR, Siklosi KR, Van Goor F, Kaniecki K, Yu H, et al. (2013) Defining the disease liability of variants in the cystic fibrosis transmembrane conductance regulator gene. Nat Genet 45: 1160-1167. Jensen TJ, Loo MA, Pind S, Williams DB, Goldberg AL, et al. (1995) Multiple proteolytic systems, including the proteasome, contribute to CFTR processing. Cell 83: 129-35. Anderson MP, Welsh MJ (1992) Regulation by ATP and ADP of CFTR chloride channels that contain mutant nucleotide-binding domains. Science 258: 1719. Logan J, Hiestand D, Daram P, Huang Z, Muccio DD, et al. (1994) Cystic fibrosis transmembrane conductance regulator mutations that disrupt nucleotide binding. J Clin Invest. 94: 228-236. Sheppard, DN, Rich, DP, Osteogaard, LS, Gregory RJ, Smith AE, et al. (1993) Mutations in CFTR associated with mild- disease form CL- channels with altered pore properties. Nature 362: 160-164. Tabcharani JA, Rommens JM, Holu YX, Chang XB, Tsui LC, et al. (1993) Multi-Ion pore behavior in the CFTR chloride channel Nature 366: 79-82. Highsmith WE, Lauranell BH, Zhaoqing Z, Olsen JC, Strong TV, et al. (1997) Identification of a splice site nutation (2789+5G>A) associated with small amounts of normal CFTR mRNA and mild cystic fibrosis. Hum Mutat 9: 322-328. Hanrahan JW, Samprson HM, Jhomas DY (2013) Novel pharmacological strategies to treat cystic fibrosis. Trends Pharmacol Sci 34: 119-125. Van Goor F, Straley KS, Cao D, Gonzelez J, Hadida S, et al. (2006). Rescue of Delta F 508 CFTR trafficking and gating in human cystic fibrosis airway primary cultures by small molecules. Am J Physiol, Lung Cell Mol Physiol 2006: L1117-1130. Pedemonte N, Lukacs GL, Du K, Caci E, Zegarra-Moran O, et al. (2005) Small molecules correctors of defective Delta 508-CFTR Cellular processing identified by high throughput screening. J Clin Invest 115: 2564-2571. Du K, Sharma M, Lukas GL (2005) The ?F508 cystic fibrosis mutation impairs domain interaction and arrests post translational folding of CFTR. Nat Struct Mol Biol 12: 17-25. Denning GM, Anderson, MP, Amara JE, Marshal J, Smith AE, et al. (1992) Processing of mutant cystic fibrosis transmembrane conductance regulator is temperature- sensitive. Nature 358: 761-764. Okiyoneda, T, Veit, G, Dekkers, JF, Bagdany M, Soya, N, et al. (2013) Mechanism-based corrector combination restores ΔF508 – CFTR Fold and function. Nat Chem Biol 9: 444-454. Okiyoneda T, Barriere H, Bagdany M, Raheb W M, Du K, et al. (2010) peripheral protein quality control removes unfold CFTR from the plasma membrane. Science 329: 805-810. Amaral MD, Farinha CM (2013) Rescuing mutant CFTR: a multitask approach to a better outcome in treating cystic fibrosis. Curr Pharma 19: 3497-3508. Jih KY, Hwang TC (2013) VX 770 potentiates CFTR function by promoting decoupling between the gating cycle and ATD hydrolysis cycle. Proc Natl Acad Sci (USA) 110: 4408-4409. Csanady L, Torocsik B (2014) Structure activity analysis of a CFTR protein: Distinct molecular parts underlie dual gating effects. J Gen Physiol 144: 321-336. Watson MS, Cutting GR, Desnick RJ, Driscoll DA, Klinger K, et al. (2004) Cystic fibrosis population carrier screening: Revision of American College of Medical Genetics Mutation Panel. Genet Med 6: 387-391. Kervestin S, Jacobson A (2012) NMD: a multifaceted response to premature translation termination. Nat Rev Mol Cell Biol 13: 700-712. Popp MW, Maquat LE (2013) Organizing principles of mammalian nonsense mediated mRNA decay. Annu Rev Genet 47: 139-165. Veit G, Avramescu RG, Chiang AN, Houck SA, Cai Z, et al. (2016) From CFTR biology toward combinatorial pharmacotherapy expanded classification of cystic fibrosis mutations. Mol Biol Cell 27: 424-433. Haggie PM, Phuan P, Tan JA, XuH, Avramescu RG, et al. (2017) Correctors and Potentiators rescue function of the truncated W1282X cystic transmembrance regulator (CFTR) translation product. J Biol Chem. 292: 771-783. Seibert FS, Jia Y, Methews CJ, Hansehman JW, Riordan JR (1997) Disease associated mutations in cytoplasmic loops 1 and 2 of cystic fibrosis transmembrane conductance regulator impede processing or opening of the channel. Biochem 36: 11966-11974. Karem E, Rave-Havel N, Augarten A, Madgar I, Nissim-Rafinia M, et al. (1997) A cystic fibrosis transmembrane conductance regulator splice variant with partial penetrance associated with variable cystic fibrosis presentation. Am J Respir Crit Care Med 1155: 1994-1920. Sharma H, Souchet MJ, Callebaut I, Prasad R, Becq F (2014) Function, pharmacological correction and maturation of new Indian CFTR gene mutations. J Cyst Fibros 14: 34-41. Ren HY, Grove DE, De La Rosa O, Houck SA, Sopha P, et al. (2013) VX 809 corrects folding defect in cystic fibrosis transmembrane conductance regulator protein through action on membrane spaning domain. Mol Biol Cell 24: 3016-3024. Rowe SM, Verkman AS (2013). Cystic fibrosis transmembrane regulator correctors and potentiators. Cold Spring Harb Perspect Med. 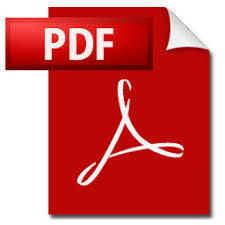 1: pii: a009761. Mu TW, Ong DS, Wang YJ, Balch WE, Yates JR 3rd, et al. (2008) Chemical and biological approaches synergize to ameliorate protein-folding diseases. Cell 134: 769-781. Van Goor F, Hadida S, Grootenhuis PD, Burton B, Stack JH, et al. (2011) Correction of the F508del-CFTR protein processing defect in vitro by the investigational drug VX-809. Proc Natl Acad Sci USA 108: 18843-18848. Aleksandrov AA, Kota P, Cui L, Jensen T, Alekseev AE, et al. (2012) Allosteric modulation balances thermodynamic stability and restores function of ΔF508 CFTR. J Mol Biol 419: 41-60. Protasevich I, Yang Z, Wang C, Atwell S, Zhao X, et al. (2010) Thermal unfolding studies show the disease causing F508del mutation in CFTR thermodynamically destabilizes nucleotide-binding domain 1. Protein Sci 19: 1917-1931. Laselva O, Molinski S, Casavola V, Bear CE (2018) Correctors of the Major Cystic Fibrosis Mutant Interact through Membrane-Spanning Domains. Mol Pharmacol 93: 612-618. Sorum B, Czégé D, Csanády L (2015) Timing of CFTR pore opening and structure of its transition state. Cell 163: 724-733. Yeh HI, Sohma Y, Conrath K, Hwang TC (2017) A common mechanism for CFTR potentiators. J Gen Physiol 149: 1105-1118. Boinot C, Jollivet SM, Ferru-Clément R, Becq F (2014) Searching for combinations of small-molecule correctors to restore f508del-cystic fibrosis transmembrane conductance regulator function and processing. J Pharmacol Exp Ther 350: 624-34. Schmidt BZ, Haaf JB, Leal T, Noel S (2016) Cystic fibrosis transmembrane conductance regulator modulators in cystic fibrosis: current perspectives. Clin Pharmacol 8: 127-140. Accurso FJ, Rowe SM, Clancy JP, Boyle MP, Dunitz JM, et al. (2010) Pretal Effect of VX-770 in persons with cystic fibrosis and the G551D- CFTR mutation. New Eng J Med 363: 1991-2003. Ramsey BW, Davies J, McElvaney NG, Tullis E, Bell SC, et al. (2011) A CFTR potentiator in patients with cystic fibrosis and the G551D mutation. N Engl J Med 365: 1663-1672. Davies JC, Wainwright CE, Canny GJ, Chilvers MA, Howenstine MS, et al. (2013) Efficacy and safety of ivacaftor in patients aged 6 to 11 years with cystic fibrosis with a G551D mutation. Am J Respir Crit Care Med 187: 1219-1225. Mckone EF, Borowitz D, Drevinek, P, Griese M, Konstan M, et al. (2013) Long –term safety and efficacy of ivacaftor in patients with cystic fibrosis who have the G 551 D- CFTR mutation response through 144 weeks of treatment (96 weeks of PERSIST). Pediat Pul Supp 48: 287. Rowe SM, Heltshe SI, Gonska T, Donaldson, SH, Borowitz D, et al. (2004) Clinical G 551 D- mediation cystic fibrosis. AM J Resp Clin Care med 190: 175-184. Solomon GM, Marshall SG, Ramsey BW, Rowe SM (2015) Breakthrough therapies: cystic fibrosis (CF) potentiators and correctors. Pediatric Pulmonol 50: S3-S13. Mendoza JL, Schmidt A, Li Q, Nuvuga E, Barrett T, et al. (2012) Requirements for efficient correction of Delta 508 CFTR revealed by analyses of evolved sequences. Cell 148: 164-174. Rabeh WM, Bossurd F, XU H, Okiyoneda T, Bagdany M, et al (2012) Correction of both NBDI energetics and domain interface is required to restore delta 508 CFTR folding and function. Cell 148: 150-163. Marigowada G, Liu F, Waltz D, (2017) Effect of bronchodilators in healthy individuals receiving lumacaftor/ivacaftor combination therapy. J Cyst Fibros 16: 246-249. Wainwright CE, Elborn JS, Ramsey BW, Marigowada G, Huang XC, et al. (2015) lumacaftor- Ivacaftor in patients with cystie fibroses Homoygous for Phe 508 del CFTR. N Eng Med 373: 220-231. Carlile GW, Yang Q, Matthes E, Liao J, Radinovic S, et al. (2018) A novel triple combination of pharmacological chaperones improves F508del-CFTR correction. Sci Rep 8: 11404. Ward CL, Omura S, Kopito RR (1995) Degradation of CFTR by the ubiquitin-proteasome pathway. Cell 83: 121-127. Clancy JP, Rowe SM, Accurso FJ, Aitken ML, Amin RS, et al. (2012) Results of a phase IIa study of VX-809, an investigational CFTR corrector compound, in subjects with cystic fibrosis homozygous for the F508del-CFTR mutation. Thorax 67: 12-8. Donaldson SH, Pilewski JM, Griese M, Cooke J, Viswanathan L, et al. (2018) Tezacaftor/Ivacaftor in Subjects with Cystic Fibrosis and F508del/F508del-CFTR or F508del/G551D-CFTR. Am J Respir Crit Care Med 197: 214-224.